On Tuesday I shared a Coconut Rum Watermelon Slush recipe with you that reminded me so much of summer! While not required for the contest, I decided to create a second “Simply Better Cocktail” as part of the Stir it Up Holiday Blogger Mixology Challenge hosted by the awesome people over at Stirrings. 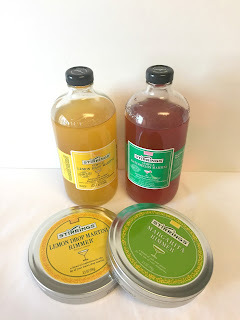 For participating in the event and creating a “Simply Better Cocktail” I was provided with two cocktail mixers and two cocktail garnishes in flavors of my choice. I chose the Lemon Drop Martini and Watermelon Martini as my mixers and Lemon Drop Martini and Margarita Rimmers. For years I absolutely hated ginger. The smell of powdered ginger, the color of picked ginger with sushi, the taste of it mixed into a stir fry…ugh. And then one day something completely changed. I LOVE ginger. As in, my first carbonated beverage choice is always ginger ale, I eat ginger candies and I immediately steal the pile of pickled ginger when Tom and I go out for sushi. It’s pungent and sometimes harsh but an amazing palate cleanser and simply does wonders to calm an upset stomach. I have also recently come to love bourbon, especially honey bourbon. I suppose it’s because I drank a lot of different mixer liquors in my early twenties that I spent so long after shying away from them and preferring simpler choices like wine or beer, but as they say, your tastebuds are always changing. While I’m still content to grab a beer or a glass of wine, a glass of straight honey bourbon on the rocks is another favorite choice. When I signed up to participate in this contest I knew bourbon was going to make its way into a drink somehow. 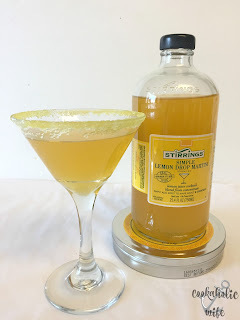 Lemon is a great flavor that mixes perfectly with so many others, that it seemed a real no-brainer to add the lemon drop mixer with bourbon and ginger beer to create a drink. Disclaimer: In exchange for receiving the mixers and rimmers I agreed to create a cocktail and submit it into the contest which comes with three cash prizes. Recipe creation, post content and opinions and solely my own and are not influenced by promotional items. Lemon, bourbon and ginger come together to make a great, light, fizzy cocktail. 1. 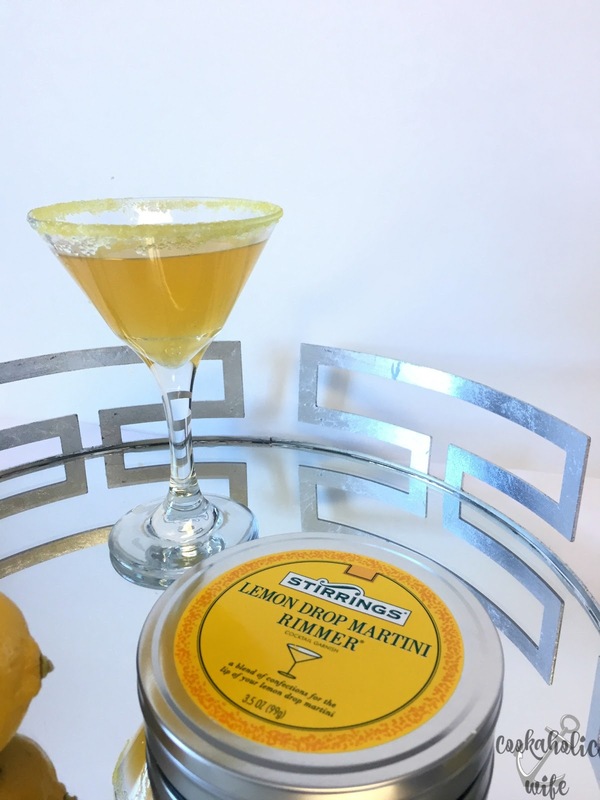 Combine honey bourbon, lemon drop martini mixer and ice in a shaker. Shake until combined. 2. 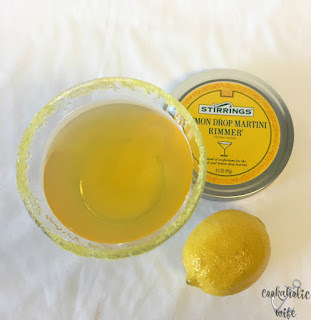 Moisten the rim of a glass and dip into the lemon drop martini rimmer . 3. Strain the mixture into the glass and then pour in the ginger beer. 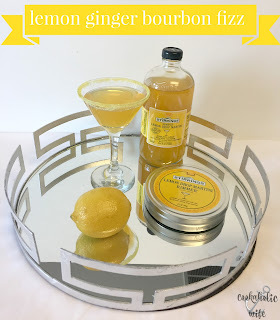 For as carbonated as the ginger beer is, I was surprised at the lack of fizz I was able to create for the pictures, but don’t let that deter you from making this drink. It’s the perfect balance of sweet and tart with a hint of ginger spice to round it all out. My other drink was definitely meant for summer time and warm weather, but this combination works year-round. Feel free to use a plain bourbon instead of honey to reduce the sweetness of this drink. If you’re local and looking for where you can find Stirrings products, check out Food Lion, Total Wines & More and Hunt Valley Wine & Liquors!